Nathalie was born in Nimes, South France. She has her master’s degree in philosophy and began her career as a teacher and translator. 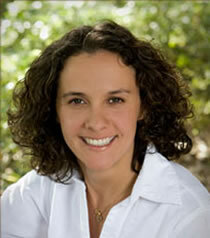 Moving to the United States, she attended Sarasota School of Massage Therapy, graduating in 2004. Nathalie has been the lead massage therapist for Alternative Therapy since 2005 and continues her quest to help people providing them with therapies designed to relieve pain, reduce tension and promote relaxation. As the creator and master of Bamboo Fusion Massage®, Nathalie travels the world training massage therapists in this unique and therapeutic technique. Her adventurous spirit and sense of fun leads Nathalie in many exciting directions. She has been found enjoying time with her friends, ziplineing through a jungle, relaxing on the beach or soaring in a hot air balloon. This lively energy overflows in her dedication to her profession and in 2013 she was honored by the World Massage Conference as "Teacher of the Year".